Blue Öyster Cult (often abbreviated BÖC) are an American rock band from Long Island, New York, United States, best known for such hard rock songs as "(Don't Fear) The Reaper", "Burnin' for You", and "Godzilla". Since the release of their self-titled debut album in 1972, the band has sold over 24 million albums worldwide, including 7 million in the United States alone. The band's music videos, especially "Burnin' for You", received heavy rotation on MTV when the music television network premiered in 1981, cementing the band's contribution to the development and success of the music video in modern pop culture. Today, BÖC's music continues to be played on AOR-friendly radio stations as well as in movies, television shows, and commercials, and even during sporting events. 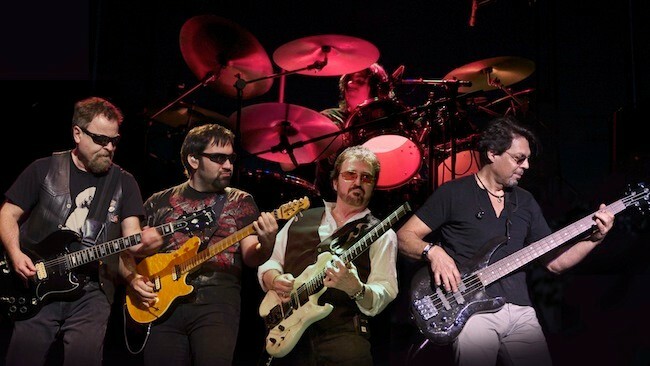 Blue Öyster Cult's current lineup includes long-time members Donald "Buck Dharma" Roeser (lead guitar, vocals) and Eric Bloom (lead vocals, rhythm guitar, keyboard), as well as Jules Radino (drums, percussion), Richie Castellano (keyboard, guitar, vocals), and Kasim Sulton (bass guitar).